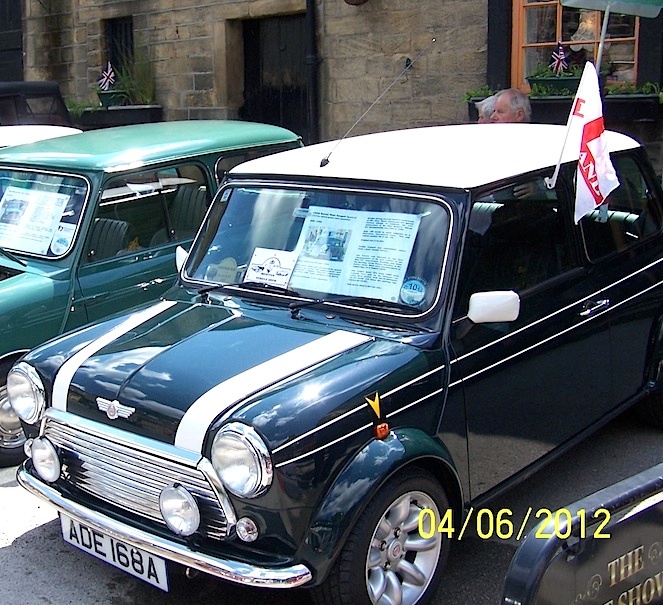 The first Bi-annual Menston Village Vehicle Show will ‘open’ at various sites in the village at 11.00am on Bank Holiday Monday, 5 May 2014. The show is based on the successful vehicle show mounted in the village as part of the Jubilee celebrations in 2012 (see ‘gallery’ below, click on any of the pictures to see them all as a slide show). All the venues are in the traditional heart of the village with just a couple of minutes walk between venues. The lineup of vehicle displays and supporting attractions, as confirmed at 11 April, is below. If more are added in the future this page will be updated. All the displays are, of course, in public areas, so there is no ‘entry charge’ for any of them. There may, of course, be a charge for some of the other attractions, and for refreshments which will be available at various locations. 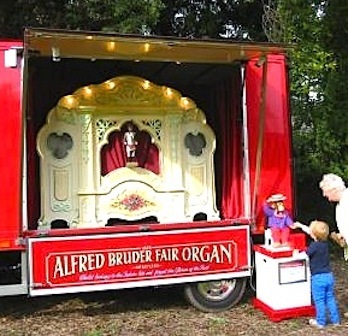 Car parks at the Menston Arms will feature smaller cars and the Black Forest Fairground Organ. The new MINI will also be on display here, provided by Stratstone. Outside the Malt Shovel you will find ‘exotic’ cars brought by JCT, and others. 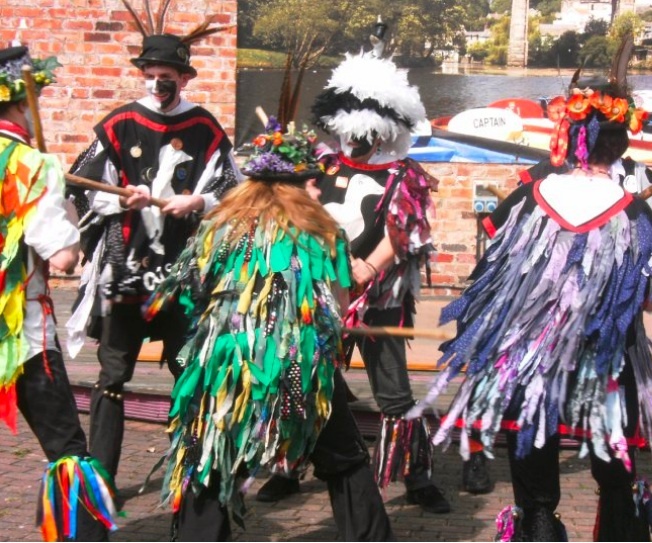 There will be Morris dancing from Wharfedale’s renowned ‘Morris side’, Wayzgoose, at lunchtime. There’ll be pie & peas available and Terrier racing in the Malt Shovel paddock. 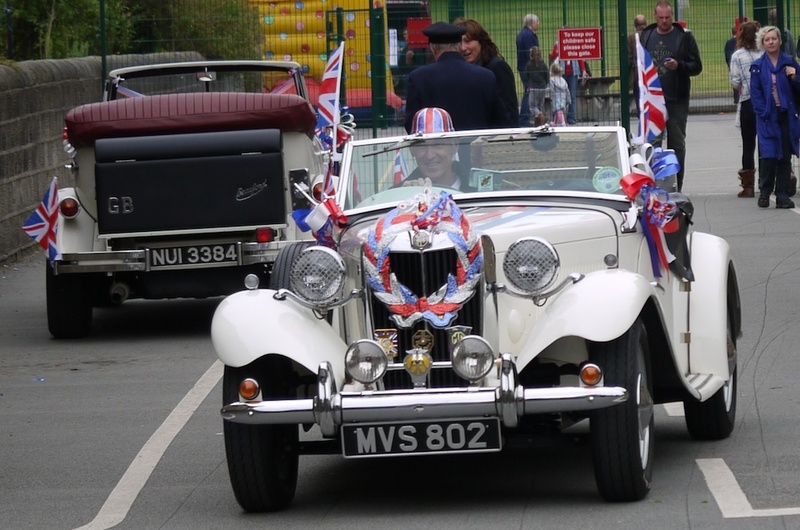 As at the Jubilee show, motor cycles, motor scooters, motor tricyles, etc will be on show in front of Parmley Graham, right opposite the Malt Shovel and Menston Arms. A couple of minutes walk up main street to the Fairfax Club and you’ll find the Routemaster bus, a main part of the car show, a bouncy castle and rides, and an ‘identify the covered car’ competition. There’ll also be indoor rifle shooting and food available. In the evening there will be a disco. A minute’s walk in the other direction down Burley Lane, opposite the Parish Church, the Barn site just at the top of Fairfax Road will house additional cars or be overflow parking. Finally, for the moment, entries to a children’s decorated scooter competition (11.00 to 12.00) will be on the patio area in front of Cornerstones, the community cafe next to the Methodist Church (which will not be open for refreshments). Hopefully there will be no need for their services, but just in case St Johns Ambulance will be in attendance throughout the day. Sorry for the delay – for some reason notification of ‘comments’ stopped coming. I’ve emailed the organisers with the question directly. Webmaster. Im Mick Heyes i have a J reg rally replica Toyota Celica that i use for sprints and hillclimbs. i would like to bring my car to the car show if possible.